One of the best parts of my job is the opportunity to travel and check out signs in other places. Last week, I visited the town of Bandon, Oregon. 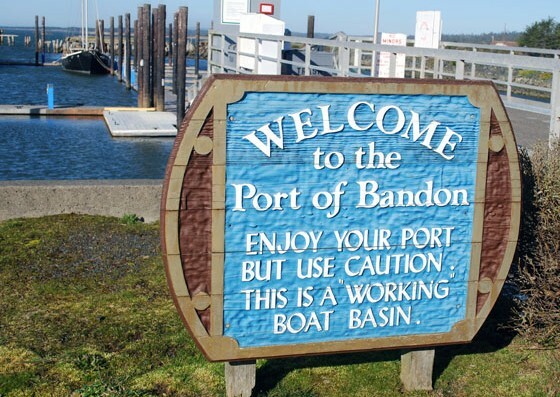 Bandon is a small town right on the coast where the Coquille River meets the Pacific. It’s a beautiful place; the ocean, the river, the pine tree forests, the adorable little town. And… the signs are pretty cool, too. Bandon was founded in 1873 by an Irish immigrant named George Bennet, who named the town after Bandon, Ireland, where he was born. “Old Town” was built right on the waterfront and was constructed on pilings and boardwalks. A fire in 1936 destroyed the entire area, but it was rebuilt (on regular, paved roads). 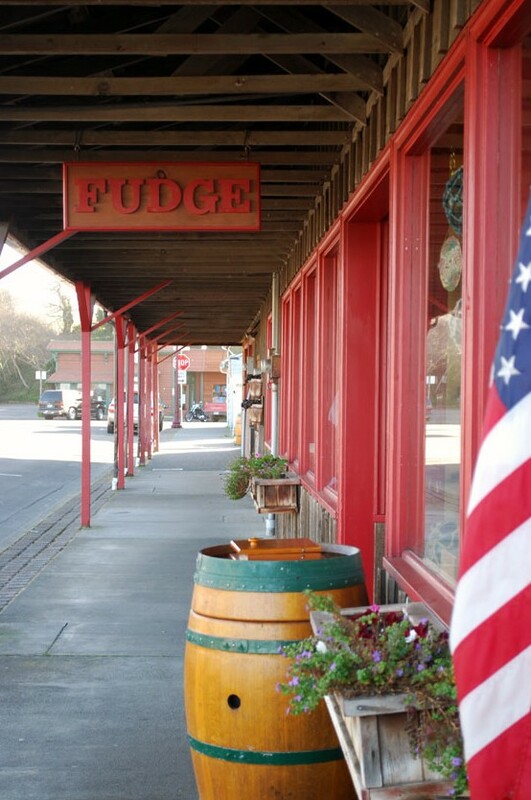 It’s impossible not to enjoy Bandon once you locate Coastal Mist, the Chocolate Boutique. This little shop features handmade chocolates and incredibly decadent desserts. I spent a lot of time in this place. It has two cozy seating areas where you can enjoy your treat. And the sipping chocolate was life-changing. Sipping chocolate is like hot chocolate, but stronger and richer. It’s served in a little espresso cup, topped with whipped topping and chocolate shavings. Bandon does have shops that sell things other than chocolate. There are two bookstores, a toy shop, an art gallery and several little gift shops. Somehow, I didn’t get photos of those. Instead, I was laser-focused on all the tasty food. Want to catch your own lunch? The Port of Bandon Boardwalk is great for crabbing or just gazing out at the river. It’s a working port, though. There are a few rules. 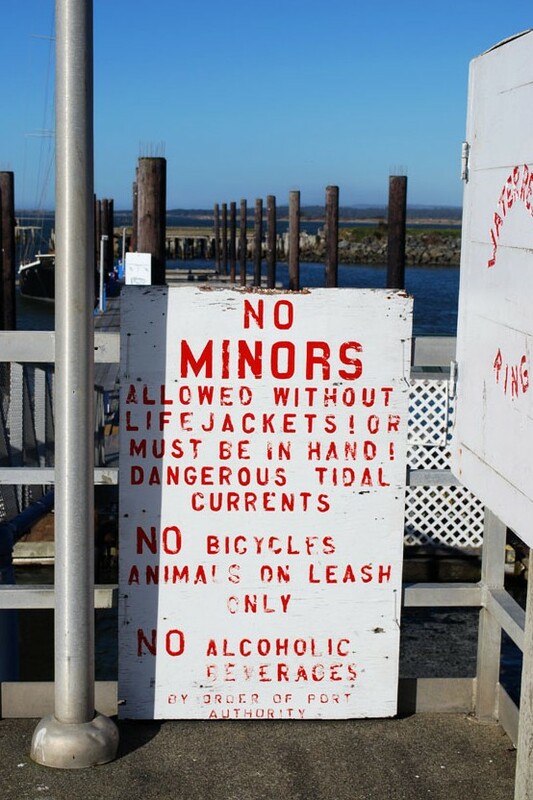 If the words “Dangerous Tidal Currents” don’t scare you, perhaps the use of exclamation points will!!! 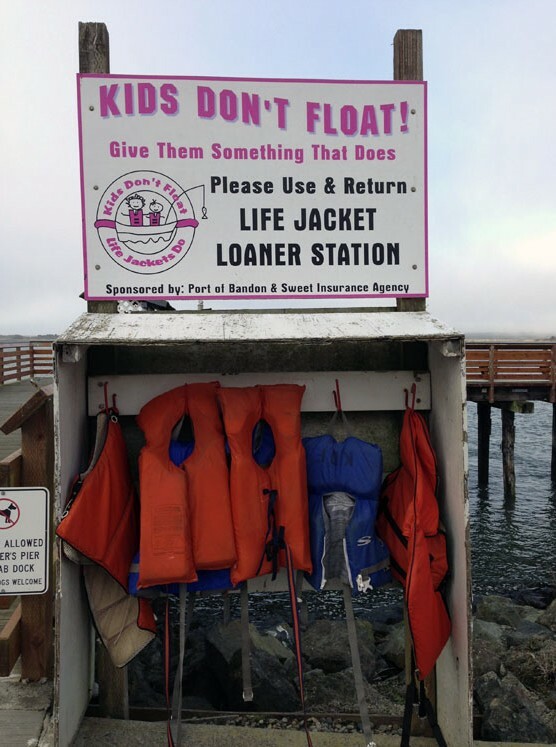 And if you’re a kid, you obviously don’t float. So you should borrow one of these life vests. In Old Town Bandon, dogs are welcome. But their poop is not. 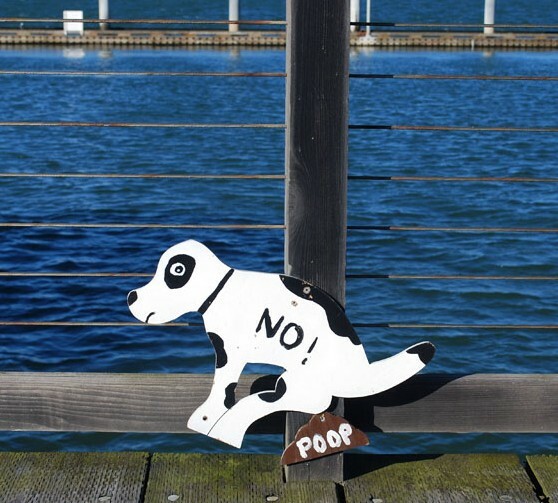 These little pups are placed all over the area to remind owners about the rule. When’s the last time you saw a sign with an actual depiction of poop on it? And the poop is labeled, “POOP” in case you couldn’t tell. 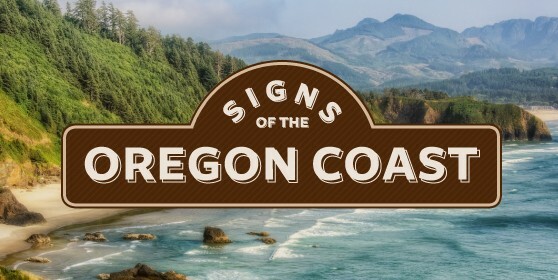 The Pacific ocean along the Oregon coast is cold, powerful and forbidding. Because of the rocky geography, the waves crash with tremendous force onto the beach. 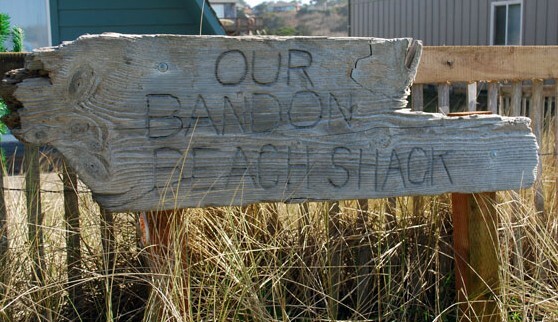 Bandon is just 20 feet above sea level, so tsunami waves are always possible (though very rare. 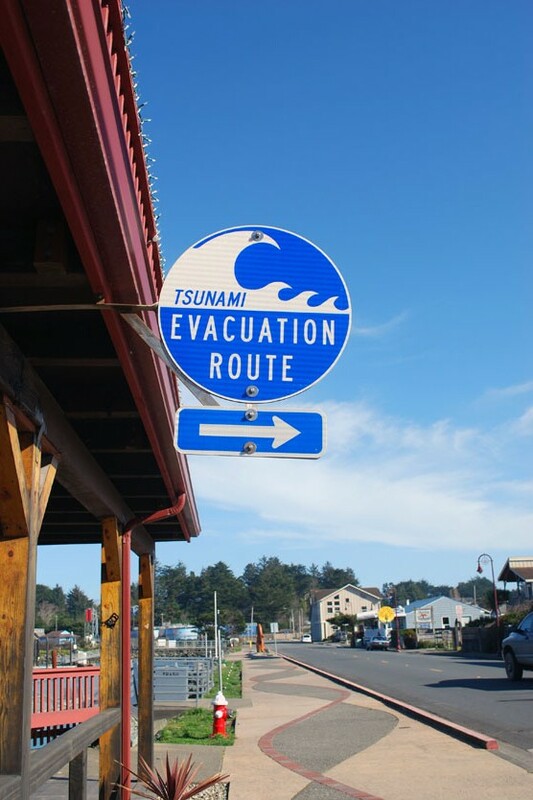 The last tsunami wave to hit Bandon, after the 2011 earthquake in Japan, was only about three feet high). 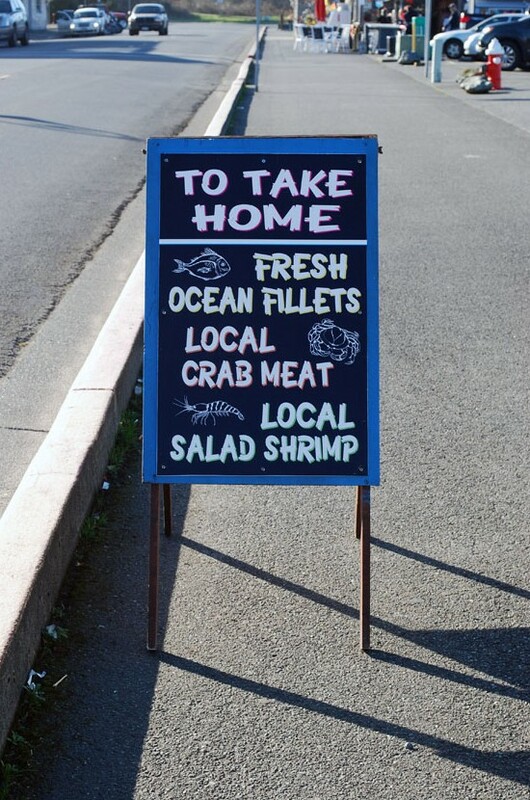 These signs are placed all over town, along with sirens that will sound when a tsunami is imminent. I was told that the residents of Bandon have 12 minutes to evacuate between the time the sirens sound and the wave hits. 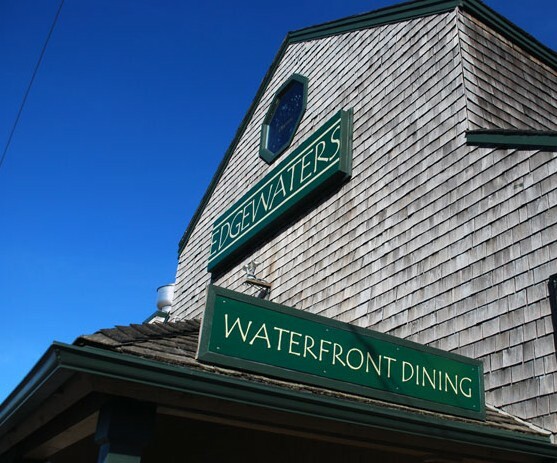 Dinner with a view can be found at Edgewaters, a seafood restaurant situated at the mouth of the Coquille river. My stay in Bandon, Oregon was restful. And productive. I got a lot of writing done thanks to the inspiring scenery—the best muse ever. The Oregon Coast is one of my favorite places to go for relaxing trip. Where’s yours?